Do you import advertising fees? The accounts you link to these Settlement transactions need to be income or expense accounts in your Chart of Accounts. Click on the Refresh button to refresh the list of accounts. 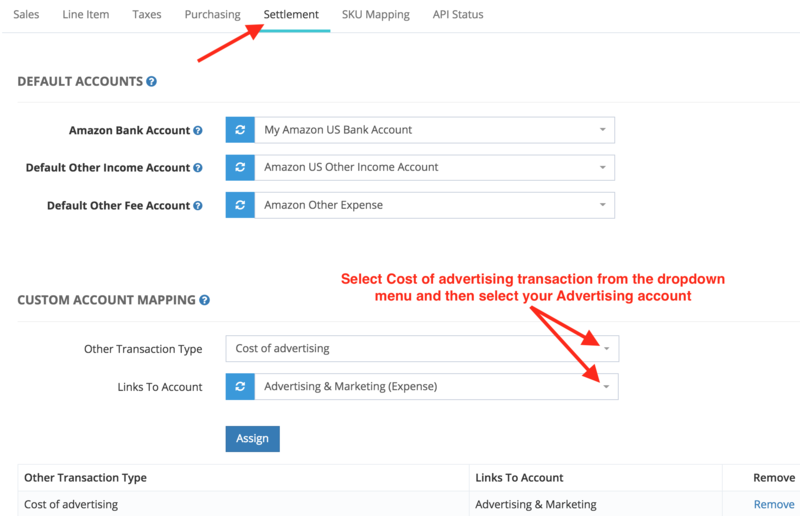 To map your advertising fees, select "Cost of Advertising" from the dropdown menu and then select the account you want that expense mapped to. We recommend you use an identifiable name like "Amazon Advertising Fees". If you pay for these advertising fees with a credit card, then you'll have to manually enter this expense in QuickBooks Online.